Please note that this activity is more advanced then flashcard reading. 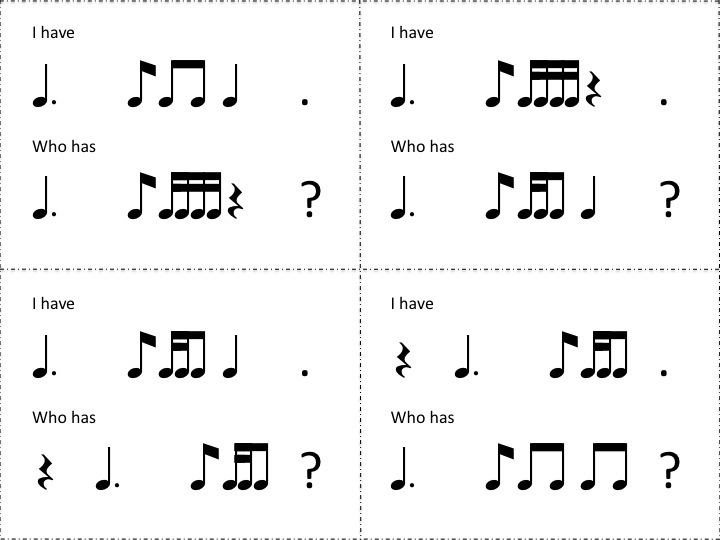 Students must be very independent in their rhythmic reading skills. 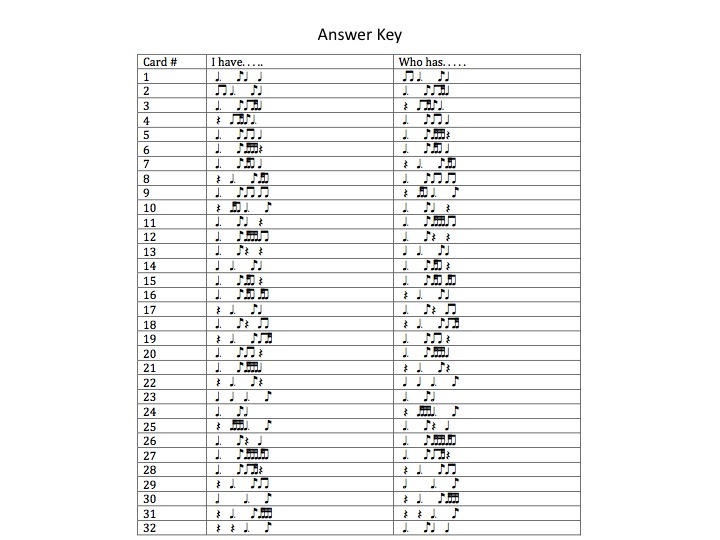 Because of this, I have included a set of flash cards that are derived from all the patterns of my Q & A Games in their files. 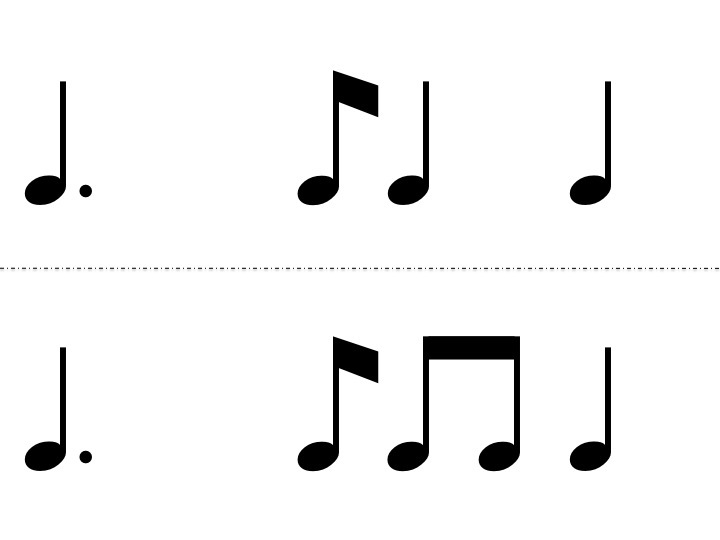 It's best to spend some time practicing the rhythms from the game with your students before having them play the game. 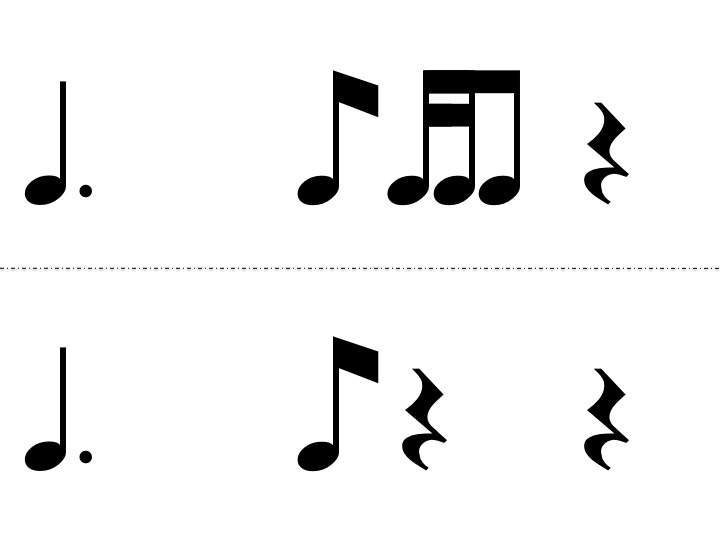 –If you have 24 students, you can pass out just the first 24 cards and then make note of what your beginning and ending rhythms are. . .
–Or, for differentiation, you can challenge some students to have two cards. This is great for those G.T. kiddos! The kids LOVE this challenge!!! •Either the teacher starts or you can choose one student to start (card #1). The first time we play it I always start. That person would read their card. For example, they would say, “I have ta ta ti-ti ta. 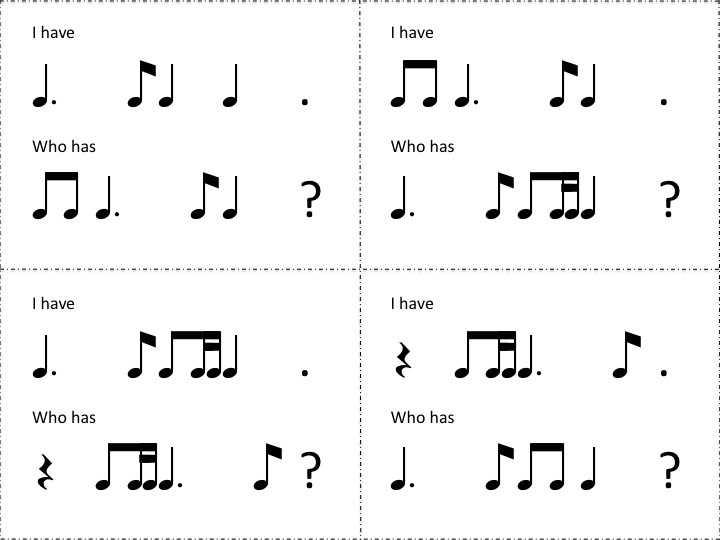 Who has ti-ti ti-ti ti-ti ta?” The student who’s top rhythm (the “I have” rhythm) matches would read their card, “I have ti-ti ti-ti ti-ti ta”. Who has ________?” The game continues until all students have read their cards. –I have them read their cards by saying the rhythms only the first couple times we play this. •The second time playing the game we strive for a steady beat and rhythmic speech as we read our cards. That is, they also say "I have" and "Who has" with rhythm. –As their reading levels advance, I ask them to also clap the rhythm as they say their cards. - After much familiarity with the game, you can "up the ante" by making it a clapping only game. This is a HUGE challenge and a very difficult way to play. So, here's another chance for differentiation.  If you use this in small groups, you could group according to ability and challenge those high kids (your kiddos that take private lessons, for example) to play this way. •Additionally, you can use in this in small groups or as a station in your classroom, adjusting the number of cards you use to meet your needs. 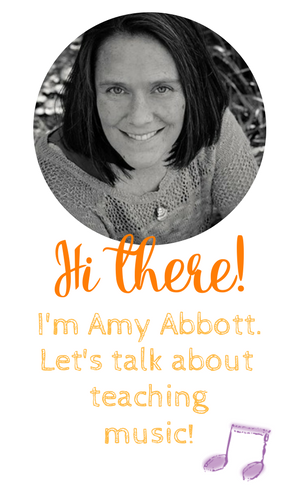 I'm going to be posting a flash card freebie this week, so please check back and please follow me on this blog and on Teachers pay Teachers.